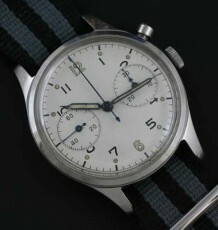 Rare vintage Mido center seconds chronograph. 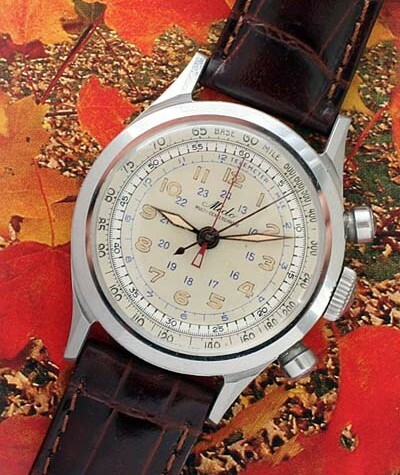 A truly stunning example of a vintage Mido multi-center chronograph. 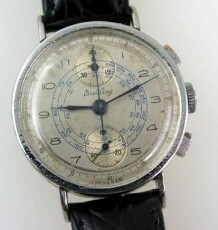 A landmark design, the seconds and minutes totalizers sit where a regular sweep second hand would be but one on top of the other much like a split seconds chronograph. 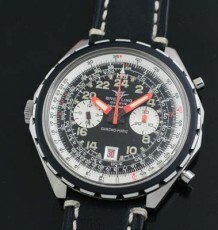 The condition of this fine timepiece is virtually new old stock. 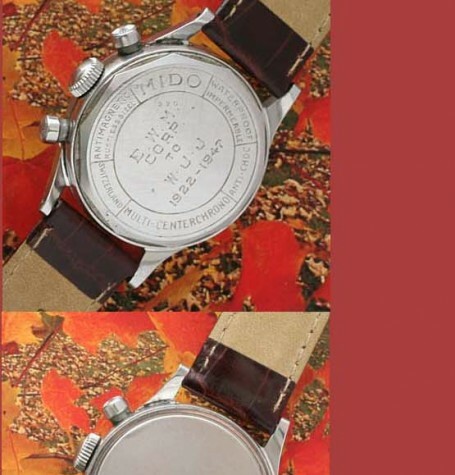 It was given as a presentation gift in 1947 and looks to have been worn infrequently if at all since then. 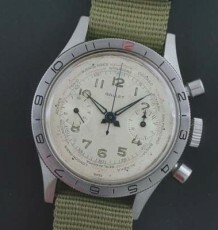 The 100% original dial is a mint condition 3 colour combination with an inner 24 hour chapter, which was likely produced towards the end of the Second World War. The watch is still fitted with the original crown and pushers, please note the delicate pattern on the ends of the chronograph pushers. 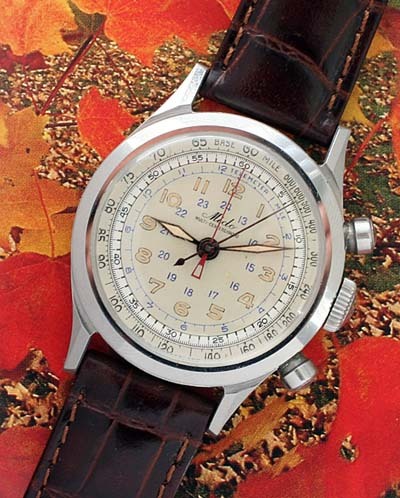 The watch is fitted with a Mido 17 jewel shock-resisting calibre 1300 chronograph movement. The movement was just serviced by my watchmaker who remarked that the movement was in mint condition and shows no sign of usage. The solid stainless steel case measures 35 mm wide by 43 mm long and will be supplied on your choice of black or brown leather straps.